With less than a month to go until elections, the DA is ready to takeover the controls of this province. A self-impoverished government cannot deliver services to our people. We see this in healthcare, where medicine out of stocks are the norm, where the ambulance fleet is half the size it should be, where ambulances are operated by single crews, where state of the art facilities operate like clinics because there is no equipment and not enough health professionals to provide quality health care. We see this in education, where bus operators strike because they have not been paid, and learners miss out on valuable class time. We see this in housing, where the backlog stands at 53 097. In his 2019 Appropriation Bill speech, the MEC of Finance for the Northern Cape, Mac Jack, admitted that they have to root out corruption and that the core structural deficiencies in the province’s economy that have existed for decades, are in fact home grown. There cannot be a clearer admission than this, that the ANC government has failed at governing for the past twenty-five years. Poor service delivery, corruption and financial mismanagement cannot be allowed to continue. With the expanded unemployment rate at 38%, households are experiencing very real and very deep levels of poverty and have never needed the provincial government to deliver more than now. The Northern Cape desperately needs a government that cares about making service delivery work and clearing out the corruption and mismanagement that leads to hundreds of millions of rands being wasted, misspent or lost to corruption each year. It is for this reason that I have been in contact with Minister Ivan Meyer, for him to share best practice from the Western Cape, where he successfully turned the financial state of the province around after the DA took over from the ANC. Our goal is to turn around the financial management of this province so that we can bring the kind of change to the Northern Cape that we have managed to bring to the Western Cape. Our plan to achieve this goal sets out how we ensure that money is spent on the people of this province, and not on the cadres connected to the ANC. We will start by cutting the ‘fat’, that includes wasteful spending, skewed priorities and financial mismanagement. The failing ANC government in the Northern Cape wasted more than a billion rand on line items that are not priorities. R 91 million on legal costs. This means that over a five-year period more than R1,57 billion was spent on non-priority line items. This is money that should have been directed to much-needed service delivery. Excessive amounts are also wasted on ‘luxuries’ and failed projects. These are just a few examples, but already we are talking about more than R2 billion lost in recent years on luxuries and failed, mismanaged projects. Compensation for employees is budgeted at R10.8 billion for 2019/20, or 59.3% of the total payments for the Northern Cape of R18.2 billion. This is significantly higher than the Western Cape budget, which has compensation for employees at 54.8% of the total budget for the 2019/20 financial year. 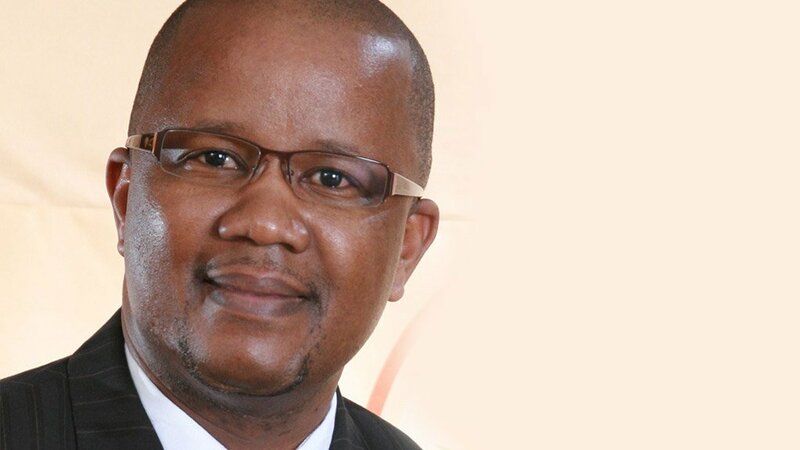 A DA government will implement a process of rationalising the positions in all provincial departments to ensure that there are no unnecessary ‘middle-management’ positions which serve little purpose other than to line the pockets of connected elites. The last Auditor General Report for the 2017/18 financial year showed a regression and the Auditor General placed the blame for this squarely on the political leadership of the province. The report states that ALL of the R1, 05 billion of irregular expenditure related to non-compliance with Supply Chain Management Regulations. Worryingly, the AG states that the total amount of irregular expenditure is likely higher, as four of the departments were still investigating the extent of their irregular expenditure. In effect, what this means is that irregular expenditure is highly likely to be associated with corruption. We have identified a number of areas in the Northern Cape’s 2019/20 budget, where millions of rands can be saved. Just by freezing the increases on these budgets for administrative fees, advertising, catering, communication, entertainment, inventory, legal costs, travel and subsistence, and venues and facilities, we can save R15 million. When the DA is elected to lead in the Northern Cape in the upcoming election, we will cut as much as possible from these budgets and believe that this could provide over R100 million in savings. We will also create savings, that can be reprioritised toward service delivery, by completely cutting spending on luxury items and poorly managed projects, as mentioned previously. We will do this by implementing austerity measures in government that prevent excessive spending on the likes of fast food and flashy cars. We will inject the political will, which the Auditor General has noted as a key lacking variable, necessary to improve financial controls and the management of projects and ensure there are real consequences for those who do not follow the rules. This will slash the money lost through irregular expenditure. Finally, we will work to cut the wage bill of this government. Every position in this government should add clear value to the people of the Northern Cape, not be a means of patronage. Paying debts to service providers and municipalities. Spending on these priority areas cannot be delayed any longer as service delivery is severely neglected in these areas. We will further tackle risks to stabilise the province’s financial position, as a matter of urgency. The high percentage of unpaid invoices, which stood at of R1.4 billion as at 31 March 2018, places immense pressure on the delivery of goods and services. The non-payment of invoices also has severe impacts on the businesses who are not paid for goods and services. Free up funds for the immediate settlement of outstanding debts by following in the fiscal footsteps of our colleagues in Tshwane, who eradicated the budget deficit their administration inherited from the ANC and turned it into a surplus in just one year. In the national Parliament, the DA introduced a private members bill to establish a small business ombudsman, to ensure that departments pay businesses on time. This bill was voted as undesirable by ANC members of Parliament. This just goes to show that the ANC does not care about the wellbeing of business, they care only about staying in power. Contingent liabilities amounted to R1.5 billion at the end of 2017/18, with constantly increasing medico-legal claims especially in the Northern Cape Department of Health. To reduce the cost and amount of especially medico-legal claims in the short term, the Democratic Alliance will explore the possibility of settlements and avoid the outsourcing of this work insofar as competent, capable state lawyers are available. In the medium- to long-term, a DA-led government will also ensure that hospitals and clinics are adequately staffed and equipped with sufficient medicine, medical supplies and resources, so that circumstances giving rise to medico-legal claims do not reoccur. Instability in senior management positions, especially amongst heads of departments and chief financial officers, makes it difficult to implement corrective actions. The Auditor General has also identified a lack of management and political will in terms of ensuring financial compliance. This can only occur if the right people are in the right jobs. One can see a clear example in the Northern Cape Department of Health, where service delivery has come to a complete standstill and staff have to fight for their salaries as hard as they do for their patients’ lives. The DA will ensure that senior management positions are filled with people appointed on merit, who have a passion to serve the public, not to enrich themselves, and are willing and able to look after our province’s finances, not steal them. In conclusion ladies and gentlemen, if the ANC’s broken bus gets another five years to run this province, it will steer us off the fiscal cliff and completely collapse our already compromised service delivery. In contrast, the DA will begin the process of addressing financial risks and cutting the ‘fat’ on the 10th May, by addressing wasteful spending, skewed priorities and financial mismanagement. This money will be redirected to improving service delivery in the core areas of provincial responsibility, namely health, education and housing. The DA is the only party that can bring us back to the path needed for development, growth and prosperity. We have brought change to other areas where we govern, and we can do the same for the Northern Cape.